With the launch of new models in the power biking segment, the competition has reached to a new high. The options are many and the choices to be made needs to be wise and precise. One would not want to go for new models without comparing it with other options. The KTM Duke 200 is a new entrant to a segment which so far has been largely occupied by Bajaj Pulsar and in response there is one Bajaj Pulsar 200 NS to fight fire with fire. The two power packed performers are contesting in a segment which is beaming with potential and despite heavy customer base, one with finest performance and most glamorous look will survive. The KTM Duke 200 price is INR. 1,32,200 lakh and the Bajaj Pulsar 200 NS price ranges from INR. 85,706 lakh. The KTM Duke 200 features a menacing look which has got the power to attract eyeballs all around it goes. Riding high on a 199.5 cc, 4-stroke, oil-cooled engine which produces 22 BHP at 10,000 rpm and 19.2 Nm of torque at 8000 rpm. The transmission is 6-speed wet multi-plate disc. 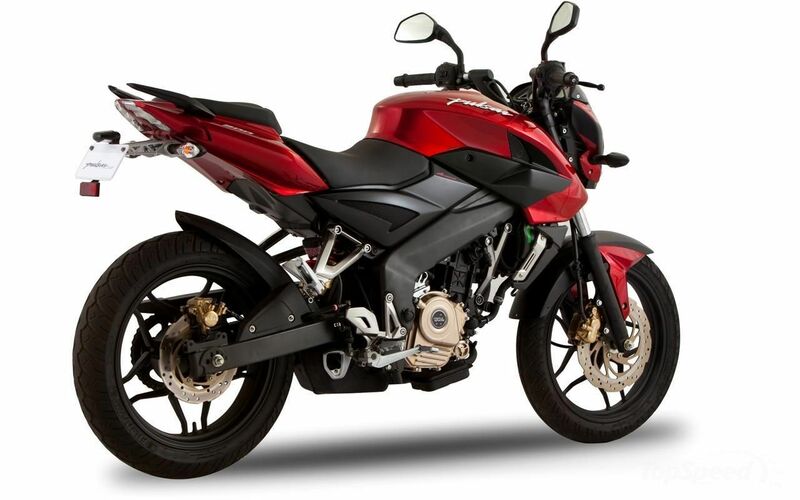 The Bajaj Pulsar 200 NS features a similar engine, perhaps the same but with some tweaks. The engine here has been laced with triple spark plug; remember the acronym for DTSi which enables it to churn out around 24 BHP at 9500 rpm and a max torque generated is 18.3 NM. So, till here it is all even, one leads the pack with performance while the other is priced more aggressively. There is more value for money aspect in the later. Bajaj bikes have been long known for their huge customer base which mostly comprises of young bikers, the European brand has targeted exactly the same customer base. The irony here is that the Indian bike giant owns a major stake in this Austrian bike brands and KTM bikes are imported to India and sold out via them. Both of these bikes stand equal on style front while the KTM Duke 200 pictures present a naked street fighter with a big tank, high rise rear seat, underbelly engine and a lot more glam appeal. The Bajaj Pulsar 200 NS pictures the same traits. The later one has borrowed some style mantras from its Austrian counterpart. The ride quality does make a difference here and when rode at high speed, the Austrian model proves a far more superior that this Indian bike. The engine is absolutely calm and vibration free at those high speed trails while the Indian contender shows a hint of vibration. The former is quicker. The verdict comes down close to a tie. The only thing that differentiates these two performers is the price and here lies the trick. A thrill machine at around INR 1 lakh is far more viable with some vibrations then a similar machine minus the vibration but almost 50% more costly.